Kennedy Center Awards are tonight. Most of the articles and promotion for the show reads something like, "McCartney, Winfrey and others" honored tonight. One of those "others" is Country Music Hall of Famer Merle Haggard. While I can't argue that Sir Paul and Oprah are more famous than "Hag", to me he means than both of them put together. From the 60's through the 80's, no one loomed larger over the Country music landscape than Merle Haggard. While physically small, he was larger than life. He could do it all; sing, write, and perform while being strong enough to buck the Nashville star system by succeeding his own way. 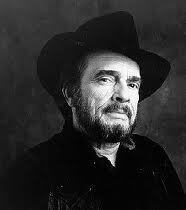 In 2010 Merle Haggard continues to do it his own way. Long live Merle. My hero.